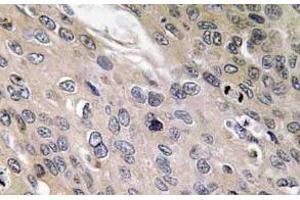 Immunohistochemistry (IHC) analyzes of BMP-6 antibody in paraffin-embedded human lung carcinoma tissue. 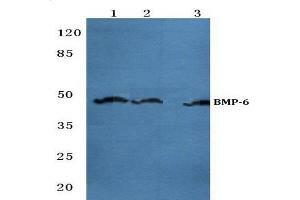 Western blot (WB) analysis of BMP-6 antibody at 1/500 dilution. Lane 1: Jurkat cell lysate. 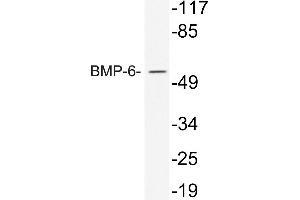 Lane 2: Raw264.7 cell lysate. 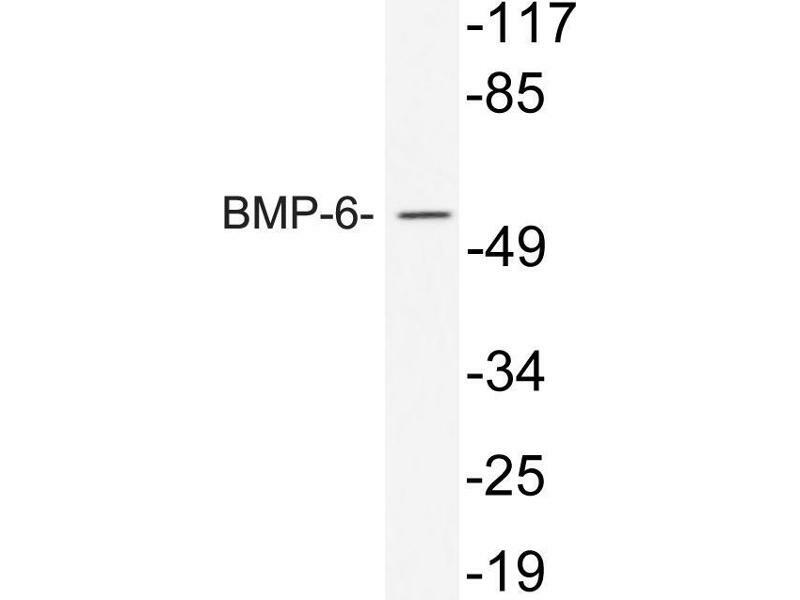 Lane 3: PC12 whole cell lysate. 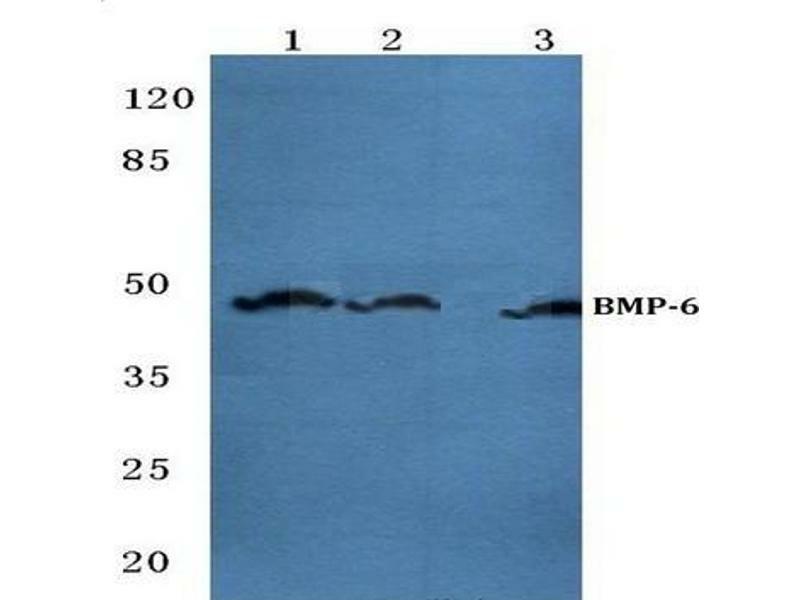 Western blot (WB) analysis of BMP-6 antibody in extracts from 293 cells treated with TNF. 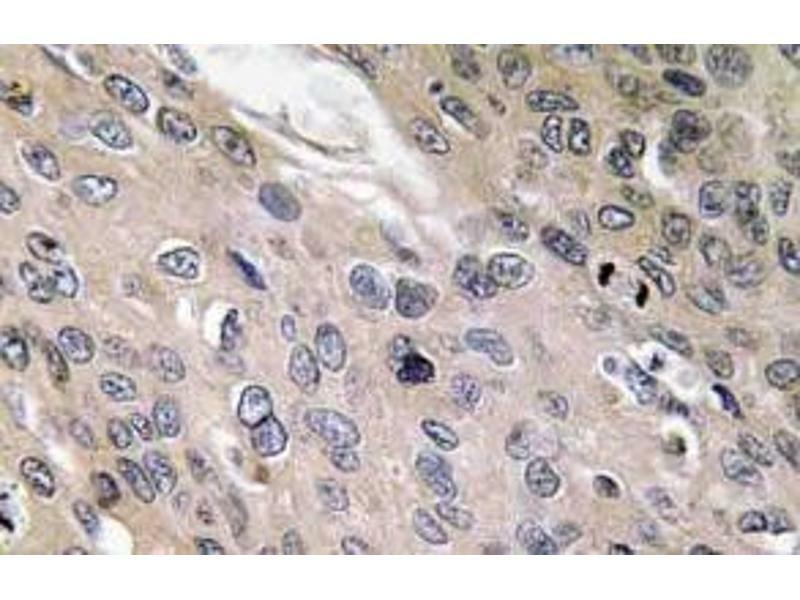 Application Notes Immunohistochemistry: 1/50 - 1/200.